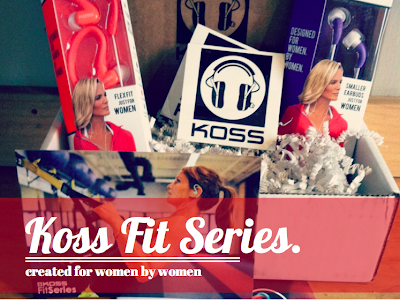 This post is sponsored by FitFluential LLC on behalf of Koss. As always all opinions are 100% my own. 19 more days until Christmas!!! I am nowhere near ready. Are you? I've got a pretty good start at my Christmas shopping, but there is still a bunch more to get! Do you have a runner on your list? I could name a few on my list for sure. My shopping list seems to grow each year and I'd really like to not break the bank this Christmas. 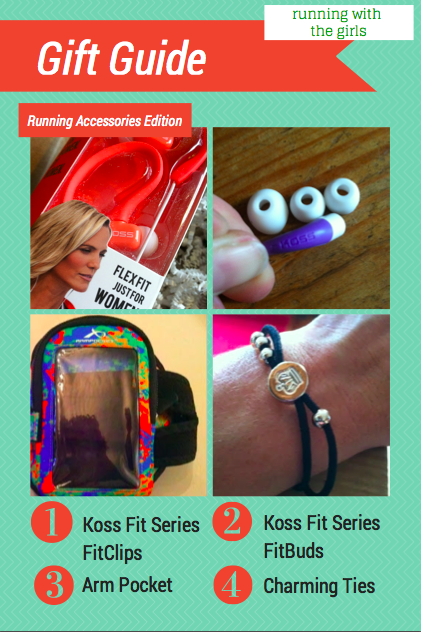 Shopping for your running friends doesn't have to be painful on your bank account! I don't know about you, but I see quite a few treadmill miles coming my way this winter. I don't mind running in snow. But wet, heavy slush - yuck! Oh and double yuck when a car seems like it goes out of it's way to hit that huge puddle as you are running by it and gets you. One thing I MUST have with me for all of those treadmill miles is my iPod (or iPhone if the iPod is dead) and some great quality earbuds. I cannot stand the earbuds that move around, pop out, or hurt. So frustrating and they do not last long with me. Usually those crappy earbuds find their way to the trash. The Koss designers teamed up with Gold Medalist Dana Torres to create the world's first headphones designed specifically for women by women. 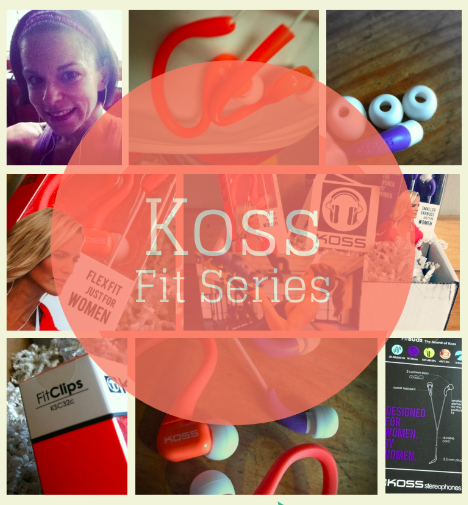 The Koss Fit Series features two models to choose from: the FitClips or FitBuds. FitClips do not fall out. The clips go over your ear to keep your earbuds in while you get in your workout. They come with three sizes of ear cushions so the woman runner in your life can choose the size that fits her best. Another plus - they are sweat resistant! I've had several pairs of earbuds fizzle out with some sweat. No worries with the FitClips. Koss also designed a line of FitBuds. Again, these come in three sizes of cushions and are sweat resistant. They are also 33% smaller than any earbud Koss has ever created. They are incredibly light and your hardly notice they are there. Yet they stay in place and give you excellent sound while you get your sweat on. 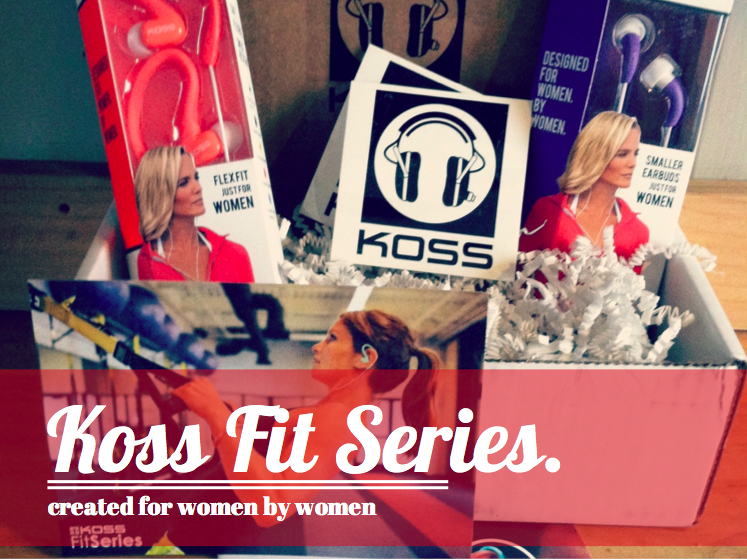 Each Koss Fit Series earbud retails for $29.99, however, they are available for $19.99 at Walmart, Best Buy, Walgreens, Kmart, and Sears this Holiday Season. Follow Koss on Facebook, Twitter, Instagram, or Pinterest. You never know when you will need your phone - photo ops, safety, using your phone for GPS. I won't be wearing my ArmPocket on the treadmill, but there will plenty of outdoor winter running for me and I'll need to have my ArmPocket with me. The ArmPocket is a great accessory that is superior to the other cell phone carriers. There are many styles and sizes to choose from and a wide range of colors. 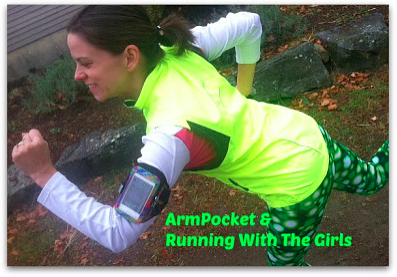 Your favorite runner can even choose one that will hold his or her fuel/keys/credit cards/etc if they want. Prices range from $19.99 to $49.95. 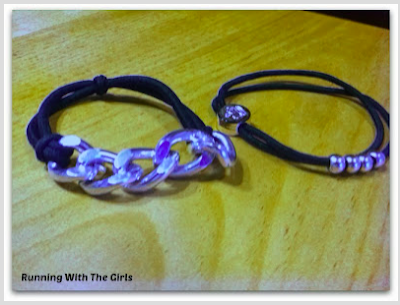 This little genius invention doubles as a cute little bracelet to a hair tie. Charming Ties are not too overly fancy, but they add a little flair to your hair or your wrist - rather than those regular old hair ties. Prices range from $4 to $28. Do you have any runners you are shopping for this holiday season? What are your favorite gifts to receive? I got an Arm Pocket a couple of years ago. It was the Adidas one I think. It totally snapped on me. So sad. Just ordered three pairs of the Koss earbuds. I've been wanting to try these, and my daughters are always needing them as well. Thanks for the reminder! !